There is a woman few people remember or even discuss. Yet she is an important person in the lineage of the Jewish people. Her name is Jochebed and she is Moses’ mother. There is so little said about her and her husband in the Word of God that the significance of what is said can easily be missed. When God introduced Himself to Moses in Exodus 3:6, He said, “I am the God of your father, the God of Abraham, the God of Isaac, and the God of Jacob.” Did you get that? God is the God of Moses’ father Amram. I think it says a lot that God would list Amram with the big three. It speaks about the relationship He had with Amram. So going back, what do we learn about Amram? He was a Levite, married to a Levite woman named Jochebed. I would venture to guess that if Amram had a relationship with God, so did his wife. Amram and Jochebed had two children when Moses was born. The edict had gone through the land that all newborn male babies were to be thrown into the Nile. Jochebed hid her baby boy for three months, but when she couldn’t hide him anymore, she had to act. Here’s where I see a parallel between Jochebed and Abraham. Though the source asking to sacrifice their sons was different, their obedience was the same. It was based on faith in God. 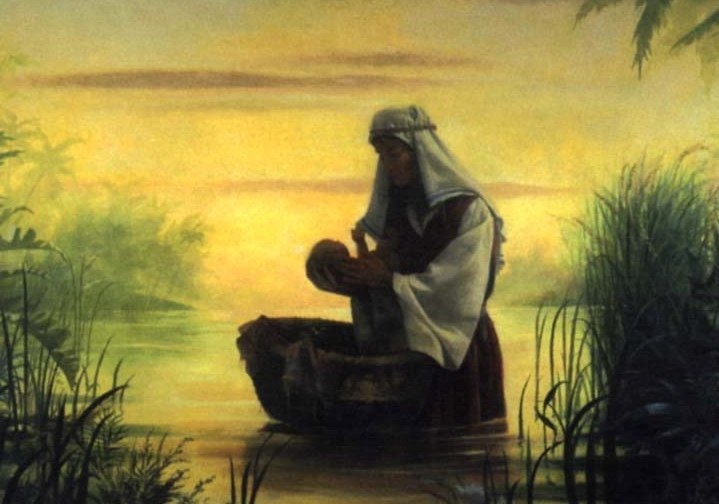 So here we see Jochebed about to put her baby in the Nile. Okay, so she’s a typical mom and can’t send him off without a boat and a blanket. But technically, she did put him in the Nile. And yes, she did send Miriam to watch what happened to him, but she had to believe that the God of her fathers would provide. After all, no matter how much she prepared, she couldn’t save her son from starvation, or wild animals, or the basket capsizing. She had to know that without God he was doomed. Just as Abraham was rewarded for his faith by the return of his son, so was Jochebed. The baby was returned to her alive.